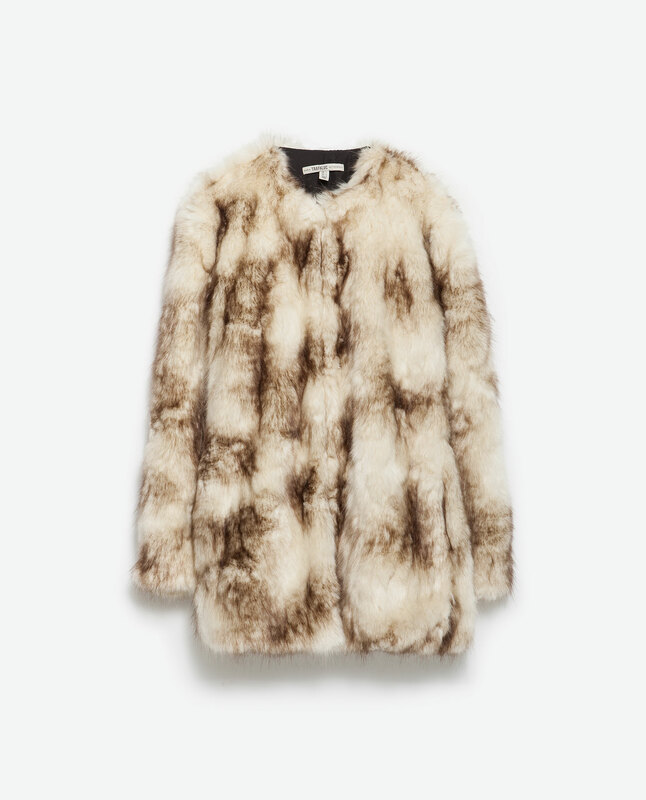 As winter is approaching (I can tell because i can’t feel my fingers anymore) I compiled a list of 6 winter coats us gals can find at ZARA, a store known for it’s good quality clothes and chic designs. You can get this coat here & style it with some awesome black leathercombat boots and a beanie. 2. Faux fur brown coat. You can shop the coat here & wear it with a neutral color dress like beige, gray o white. 3. Dark orange wool coat. You can style this with ripped demins and camel ankle boots for an awesome street style look and get the coat here. 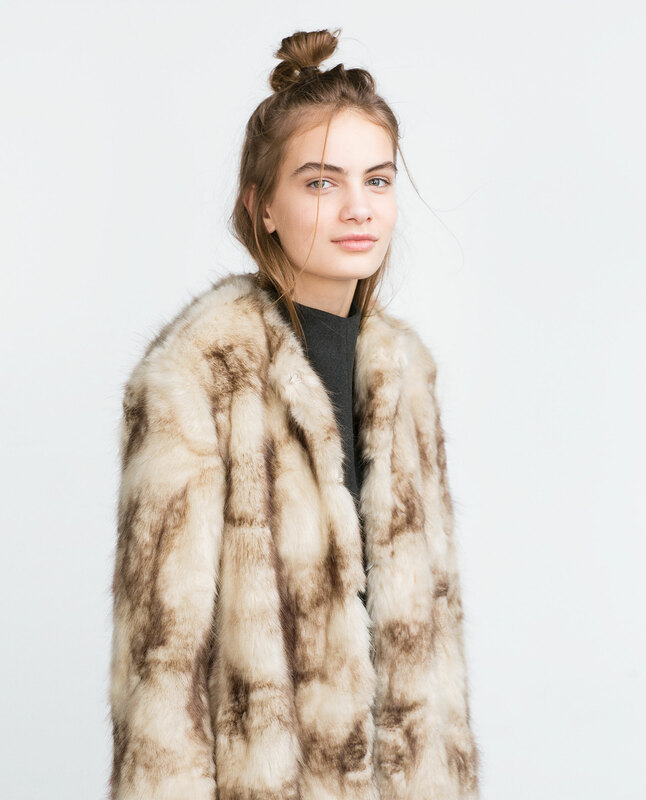 You can shop this coat here & style it with a fabulous cheetah scarf. 5. Faux fur beige jacket. You can shop the jacket here & wear it with a little black dress like the model did. 6. 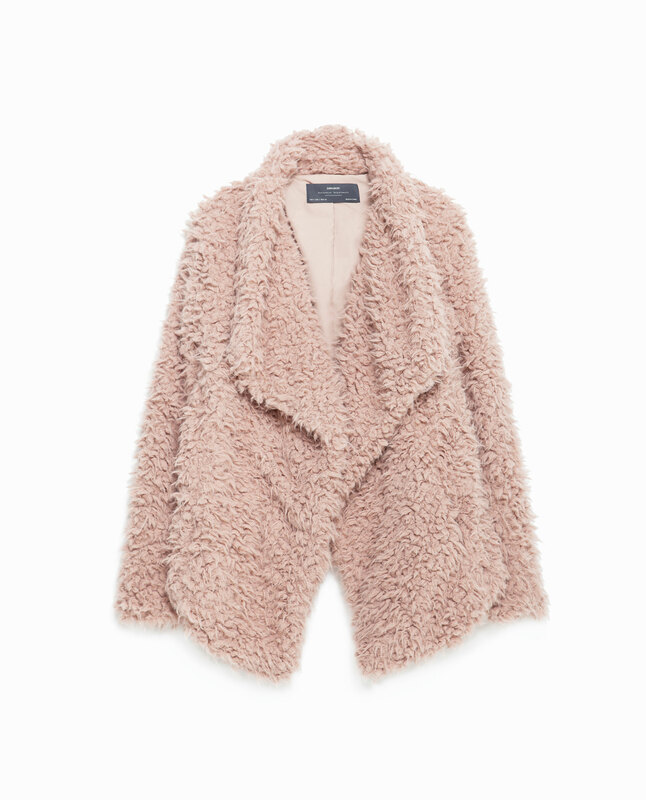 Soft pale pink faux fur jacket. You can shop this jacket here & style it with an indie/boho chic dress for the day or a pair of leather leggins and black knee high boots for a night out downtown.